Hi everyone! 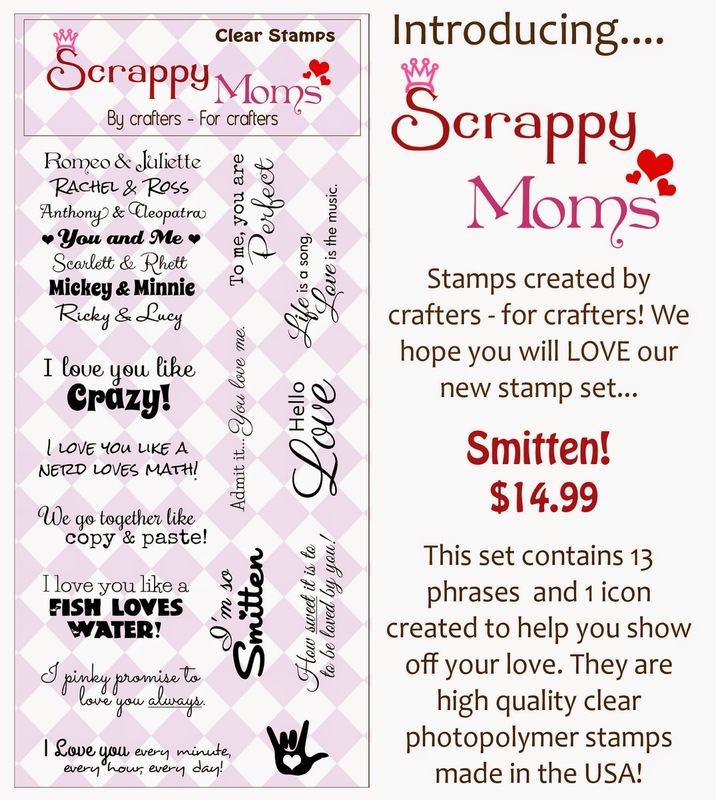 Today I have another project for the March release from Scrappy Moms Stamps. 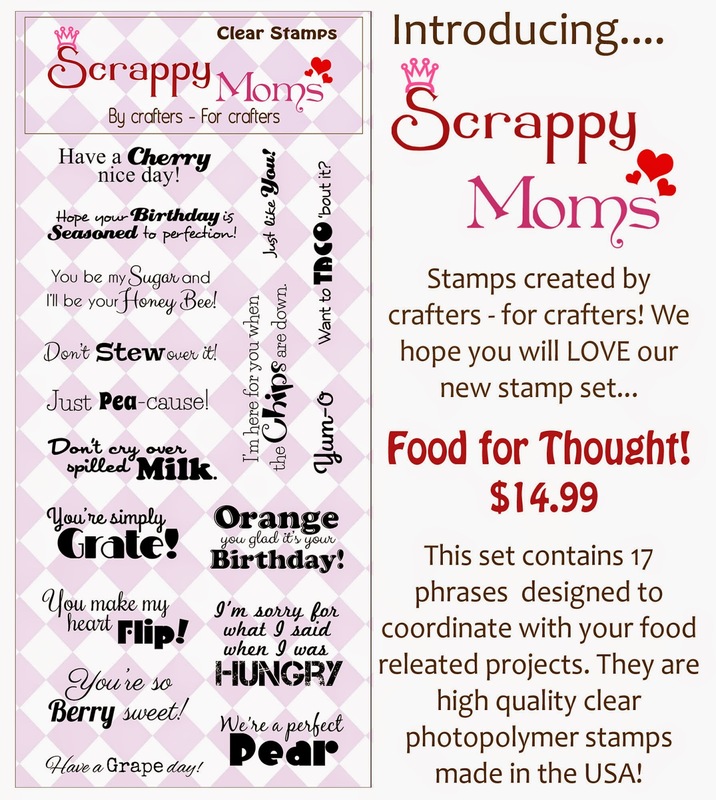 Here are the new stamps sets. Here's a card I made with a sentiment from "Smitten!". You can find more inspiration with these sets by visiting the rest of the Design Team (links on side bar). 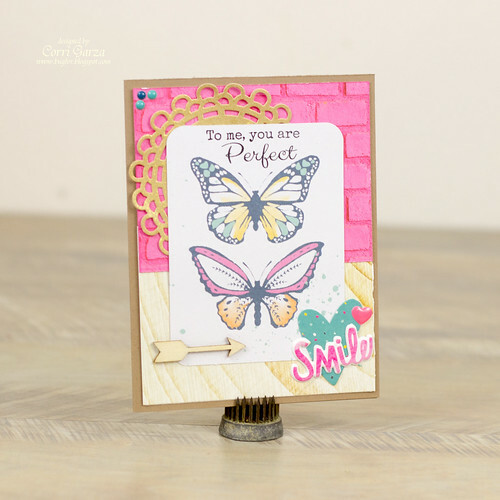 Our guest designer this month is Debbie.